Francesco Tornatore made a good life for himself on the island of Sicily. He worked hard to make his mark in the Electromechanical Technologies industry, and that he did. As director of the NTET Group, Francesco has two factories in Sicily, three in northern Italy and two production facilities in China. Recently he opened up shop in Emilia to produce materials for industrial vehicles, railway carriages and cars. 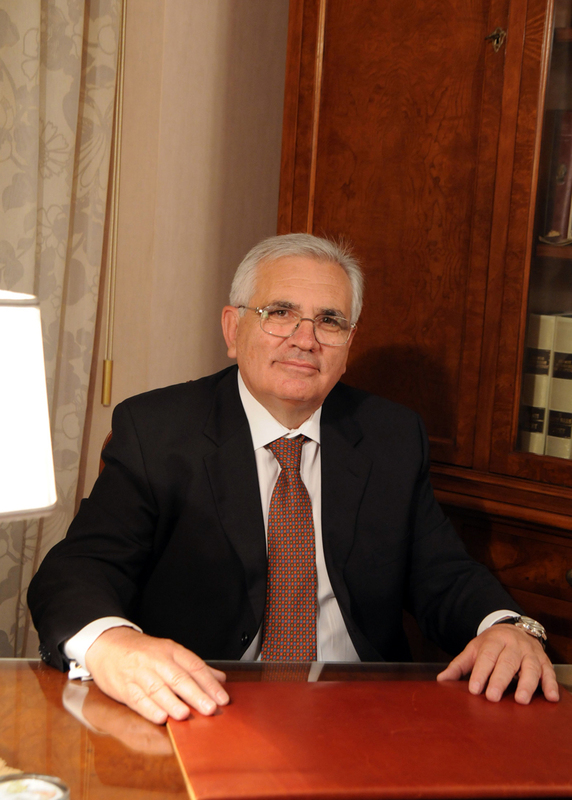 In Catania he is owner and president of yet another company called EUROCALL with 500 employees and more at five different sites in Sicily. Mr. Tornatore undoubtedly is an accomplished Sicilian. With these large scale achievements on his resume, Mr. Tornatore turned back to his roots and decided to get behind something a little more organic. So he looked to his small home village with a new dream in mind. Francesco focused his vision back to his own family’s agricultural roots – the crafting of Etna wine! Not too long ago in 2010, Francesco founded his family’s namesake winery in the town of Castiglione di Sicilia on Mt. Etna’s northeastern slopes. As young as the Tornatore label is, the family’s grape growing and winemaking tradition dates back 1865 when Francesco’s great grandfather planted his first vineyard. In 1910 Giuseppe, Francesco’s grandfather, built a house in Contrada Piano Fiera adjacent to two hectares of vineyard. He added more vineyards on the north side of Etna in the Piano Felci area at 1,000 meters above sea level. Growing up around Mt. Etna, Francesco had good knowledge of the area and the right relationships to purchase the best plots of land for his vineyards, which are all within a few kilometers of his winery and family home. Today in total, there are 114 planted acres. The stunningly green and fertile island of Sicily is the largest island in the Mediterranean Sea, separated from the continent by the Strait of Messina and surrounded by the Ionian, the Tyrrhenian and the Mediterranean Seas. 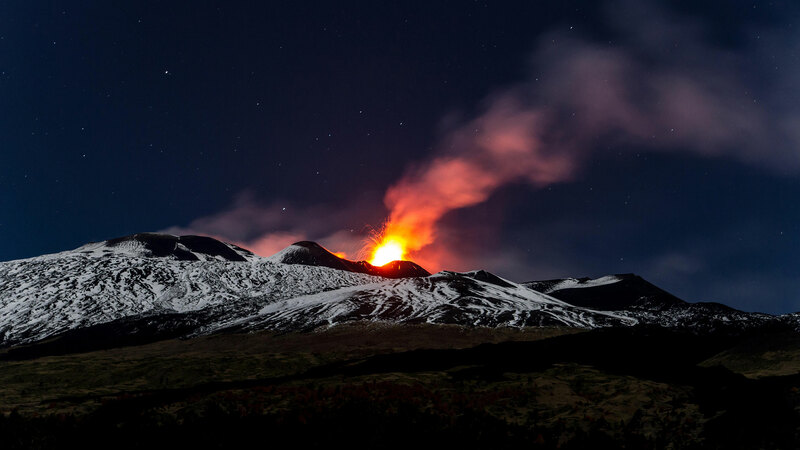 Sicily is best known for Mount Etna, the tallest active volcano in Europe, standing 3,329 m (10,922 ft) high. The island has a Mediterranean climate and is an agricultural wonderland. 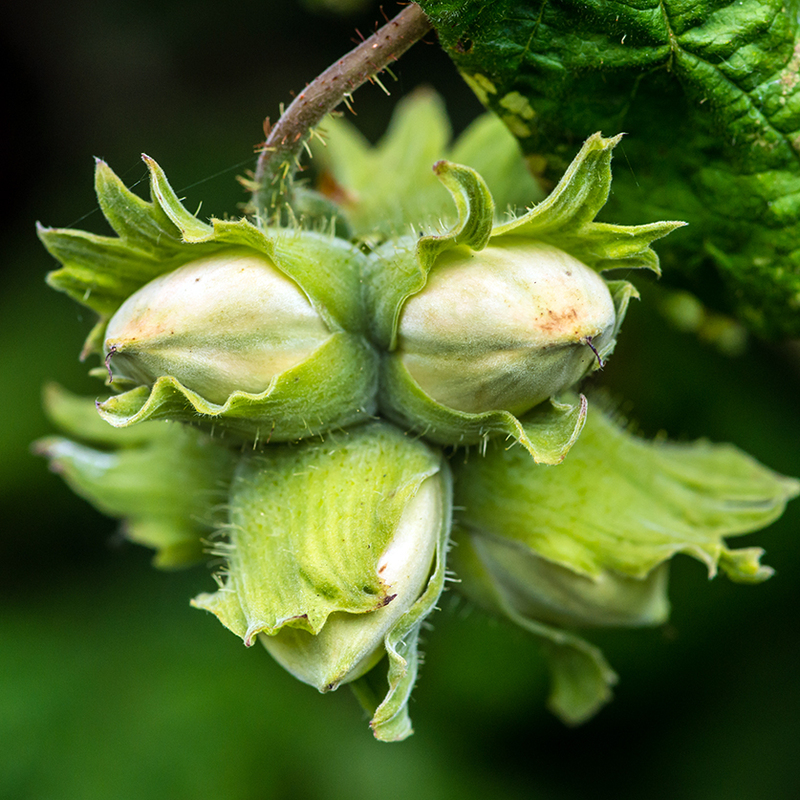 Production includes wheat, barley, corn, olives, citrus fruit, hazelnut, almonds, wine grapes and some cotton. Cattle, mules, donkeys and sheep are raised amongst the groves. Mt. Etna is a unique grape growing area. The region benefits from abundant sunshine (250 days of sunlight per year) and the warmth of the Mediterranean climate, but also from the moderating effects of significant rainfall, sea breezes and cooler temperatures that occur at the island’s highest elevation. The soil here is fertile, and well-drained as a result of many frequent volcanic eruptions over the centuries which deposited a wealth of minerals over thousands of years. 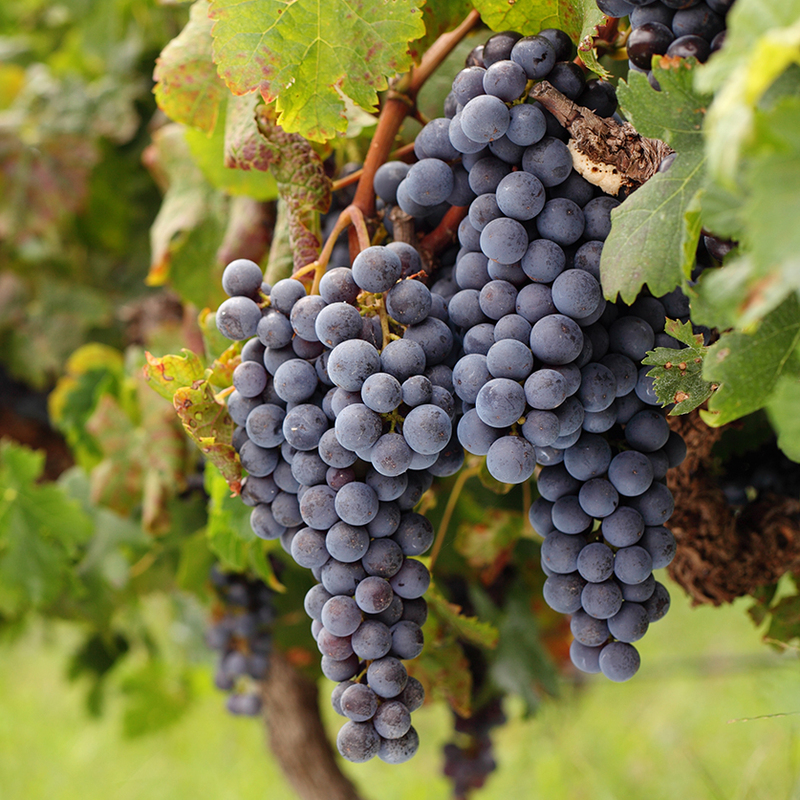 Grapes love the matrixes of rock, pumice and volcanic sands that are rich in minerals and essential nutrients for plant growth. All of these combined conditions make it possible for very natural and sustainable winegrowing in this Mediterranean climate. Though wine has been produced in Etna for a very long time, the Mount Etna DOC was the first Designation of Origin to obtain recognition for its wines in Sicily in 1968. Still to this day there are very few “large” wineries on the volcano. Many of the wineries are small family-run businesses built on family tradition for generations. 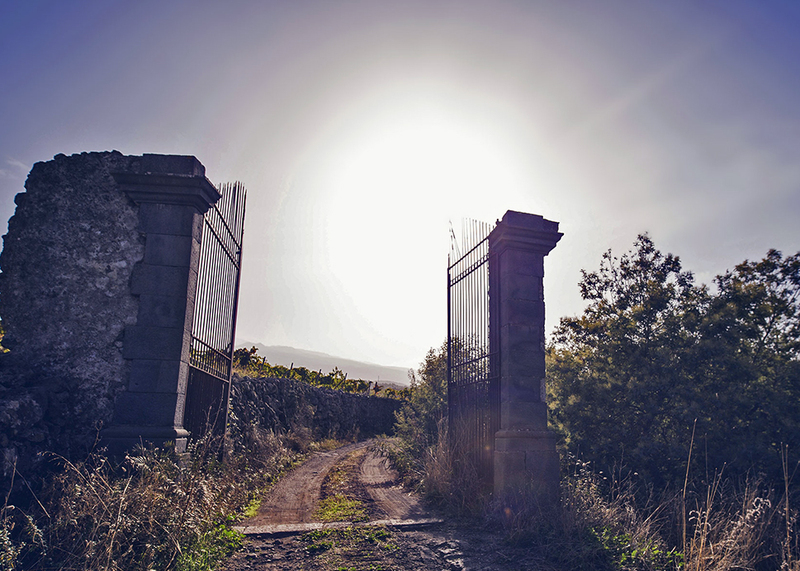 Francesco Tornatore’s winery is perched on the northern slope of Mount Etna, on those magical volcanic soils deposited by the lava masses and ashes and from the lapilli (rock fragments ejected from a volcano). The volcanic deposits are formed on the spot instantly after an eruption or transported by rainwater. On the volcano you will find Tornatore’s vineyards soil types to be sandy, blackish in color, deep and very fertile. The climate of the northern slope of Etna is mild and affected by the influence of the Nebrodi mountain range to the north. At high elevation the vines are exposed to major diurnal shifts (temperature variations day to night), and longer sun exposure. Combined with the volcanic soils, these factors allow the grapes to ripen very slowly and develop unique flavors that you can only find in Etna wines. 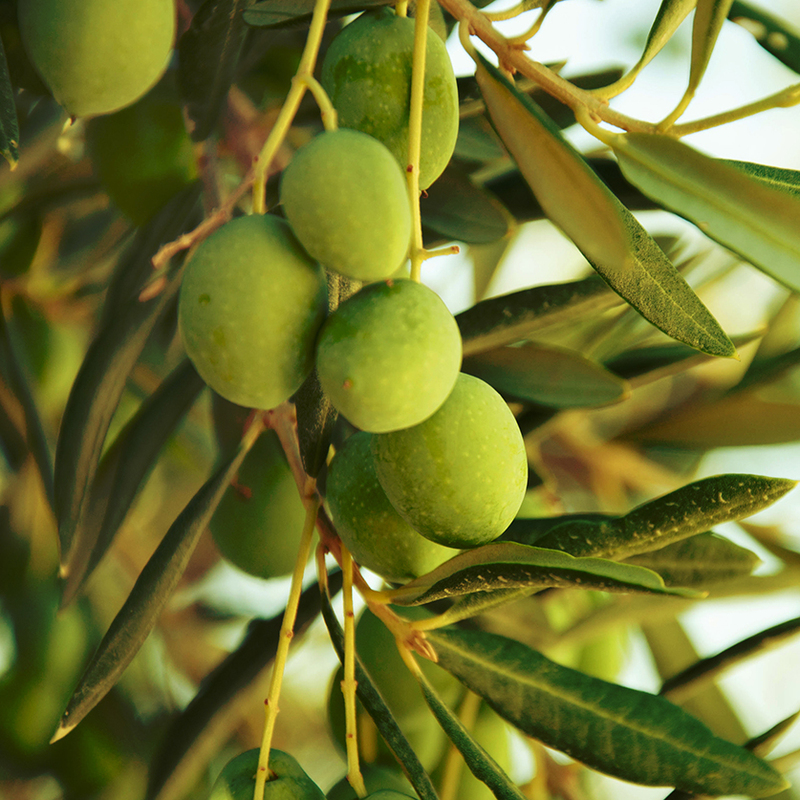 Tornatore has 46 hectares of vineyards, eight hectares of olive groves and five hectares of hazelnut groves. It may not come as a surprise, knowing Francesco Tornatore’s track record, that Tornatore is the owner of the largest vineyard in the DOC Etna production area. To date, Tornatore’s vineyards constitute the largest vineyard of Etna DOC in the production area. 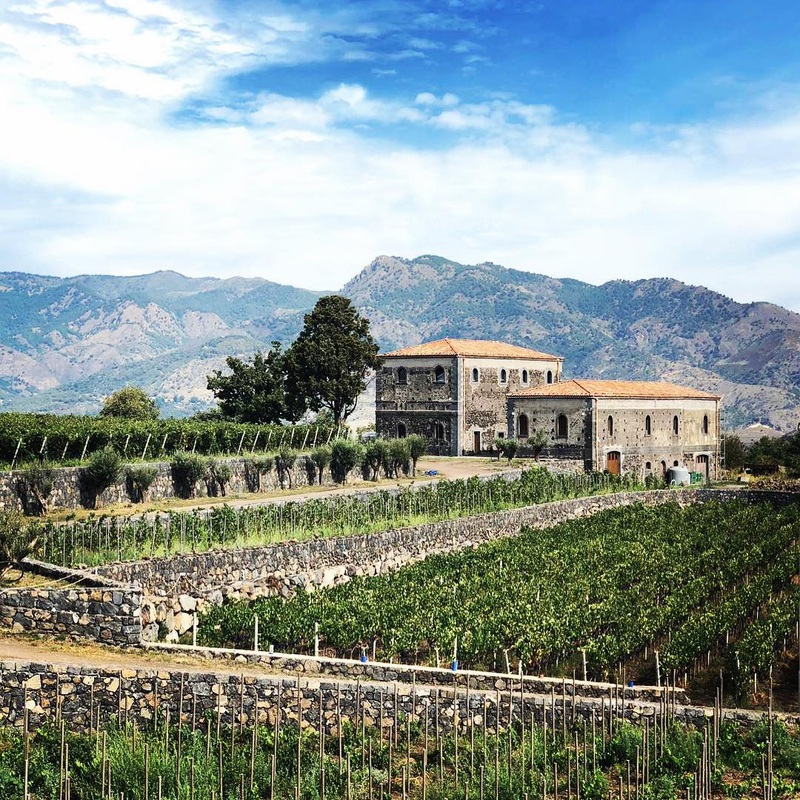 Tornatore touts vineyards at 550 to 700 m above sea level from the prestigious districts Crasà, Pietrarizzo, Malpasso, Pietramarina, Torre Guarino, Carranco and Trimarchisa, all in Francesco’s home town – the municipality of Castiglione di Sicilia. Those vines range from five to 30 years old. Like in most Etna vineyards, the grapes in all Tornatore’s vineyards are harvested by hand. Sorting is done gently and diligently by hand to preserve the unique characteristics of each individual Etna vineyard. Aging takes place in oak barrels located in a cave-like environment insulated completely, floor-to-ceiling with volcanic Etna basalt rocks and boulders which naturally regulate temperature by keeping the cave cool and allowing air flow. This makes for a perfect environment for Etna wines to mature. 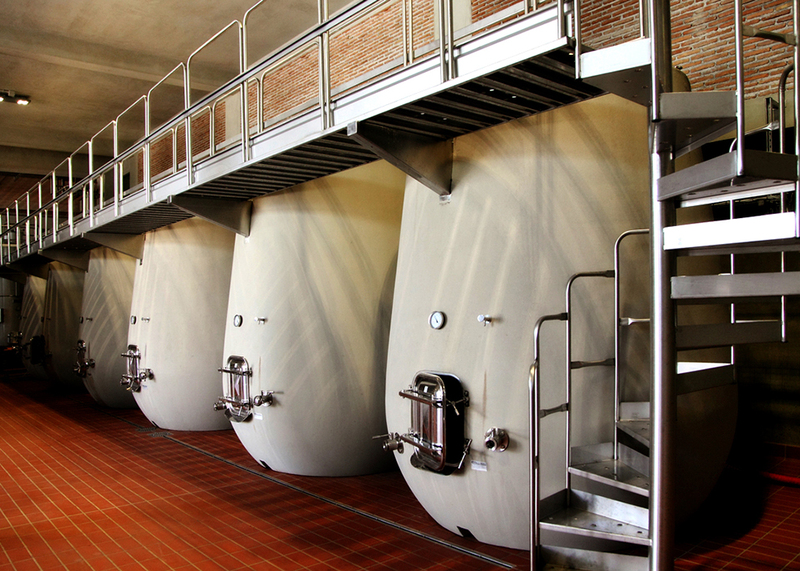 Tornatore has erected a state-of-the-art winery with top of the line equipment, all in harmony and balance with the beautiful surrounding environment of Etna. Francesco Tornatore’s winery is a low impact operation employing renewable energy sources make it all. There is something special happening on the island of Sicily and Etna holds proven powers that contribute to the making of red and white wines that are enjoyed internationally. In Etna the volcano is respected and even adored on a spiritual level; the wines of Etna made at Tornatore speak to a very specific place in the world. You may feel the energy and history of the volcano when you experience these wines yourself.